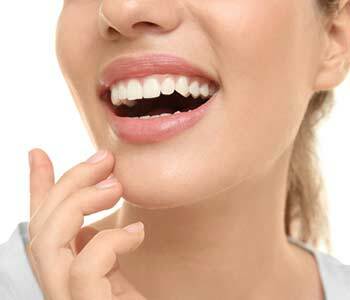 Do you have crooked teeth that keep you from flashing your smile as much as you’d like? Or, do you feel like your bite is off and you can’t quite down properly? If so and you have avoided seeking treatment because you think you’ll need years of unsightly orthodontic appliances, then Invisalign might be a great choice for you! Over five million patients across the world have used this tooth straightening system to achieve a beautiful, functional smile. 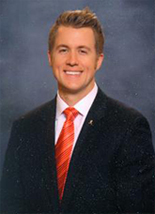 Below, Dr. David Koepsel, dentist in Wichita, KS, explains what Invisalign is and how it works for you. Put simply, Invisalign is a tooth straightening and bite adjustment system that uses a set of clear aligner trays to improve the appearance and function of your smile. You start out with an initial set of aligner trays and switch them out at specified intervals for the next set in the series to progressively shift your teeth into the correct position. Invisalign can be a good alternative to more traditional orthodontic work, such as metal-and-bracket braces that are unsightly, uncomfortable, and limit what you are able to eat on a daily basis. In addition, Invisalign treatment can also be faster than traditional braces, with the average Invisalign patient finishing treatment in just one year. 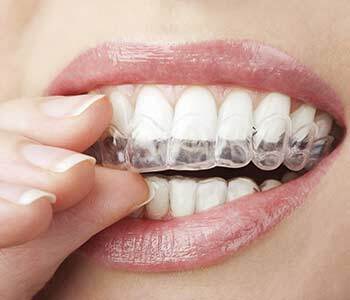 One of the things that patients love about Invisalign treatment is that the clear alignment trays used to reposition your teeth are nearly invisible to others, so they won’t even know that you are undergoing treatment! Additionally, they are fully removable, so you can take them out before eating and drinking your favorite foods and are not restricted to a limited menu. Dentists love that Invisalign trays are fully removable too, because it means that you are able to thoroughly clean your teeth and don’t need to brush and floss around wires, brackets, or other appliances. Getting started with Invisalign treatment is easy, and even better, you can see what your expected results will be before you even begin the treatment process! In a personalized consultation, Dr. Koepsel will take digital impressions of your mouth and will then use specialized computer software to map out your treatment and show you your expected results. Then, the images and treatment plan are sent to the Invisalign laboratory, where a fully customized set of trays are fabricated for you. When they arrive at our East Wichita Dentist office, we will have you come in to pick up your trays and go over how to use them, how often to wear them, how to care for your trays, and how often to switch them out. In most cases, patients are instructed to switch out their trays every two weeks and need to wear them for at least 20 hours per day for the best results. Dr. Koepsel will answer any questions you have before, during, and after treatment and works one-on-one with patients to ensure they are comfortable with the treatment process and happy with their results. To learn more about Invisalign and whether you are a good candidate for treatment, we encourage you to call Dr. David Koepsel of East Wichita Dentist at (316) 686-7395 today!